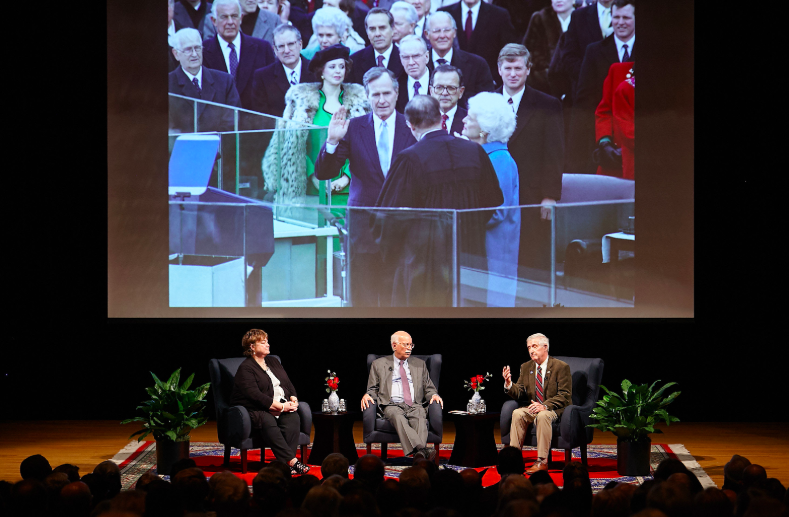 Audience members packed the Annenberg Presidential Conference Center at the George H. W. Bush Presidential Center on February 11 for a very special President’s Day program honoring our 41st President of the United States. 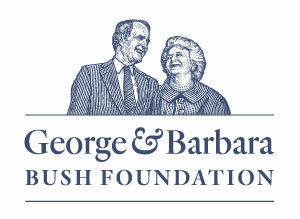 Andy Card, President Bush’s White House Deputy Chief of Staff and Secretary of Transportation, joined post-White House Chief of Staff Jean Becker and moderator Andrew Natsios, Director of the Scowcroft Institute of International Affairs, in discussing the historic, dramatic, touching and humorous aspects of George H. W. Bush’s presidency – and his life beyond the White House. 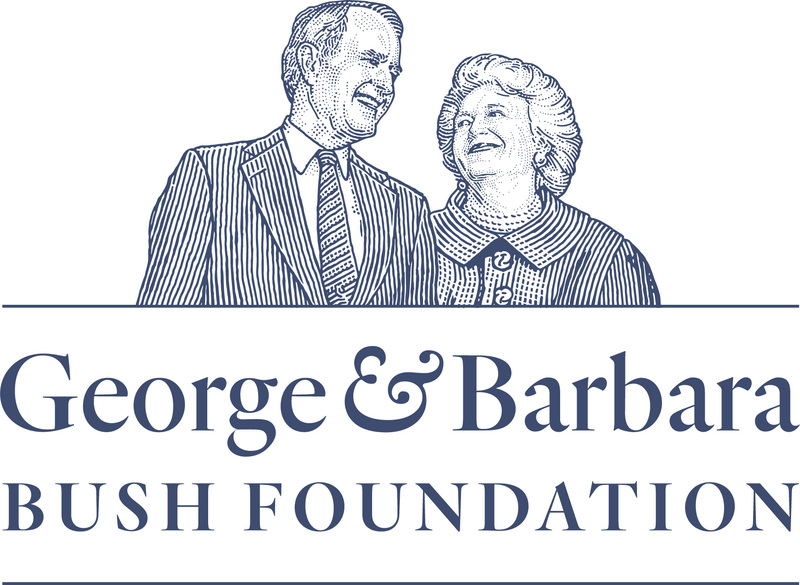 Thank you to everyone who participated in this very special evening!